Thermage is a non-invasive, radiofrequency cosmetic procedure that can smooth, contour, tighten and renew your skin’s collagen. Thermage basically works by two mechanisms: deep heating that works on tightening the deep collagen in the dermis and subcutaneous tissue, while also stimulating the formation of new collagen. An integrated cooling system protects the surface of your skin during the procedure. Thermage can treat sagging face skin, eyelid hooding and loose jowls while redefining the jaw line. On the body, Thermage can treat wrinkled, sagging, or bulging skin and improve the appearance of cellulite on the abdomen, arms, hands, thighs, and buttocks. Typically Thermage is a single treatment procedure depending on the treated area. Immediately after a treatment the area maybe red with a slight tenderness during the next day. There is almost no downtime, and the natural collagen rebuilding usually happens over two to six months — although visible results may be immediate. Results can last for years depending on your skin condition and natural aging process. 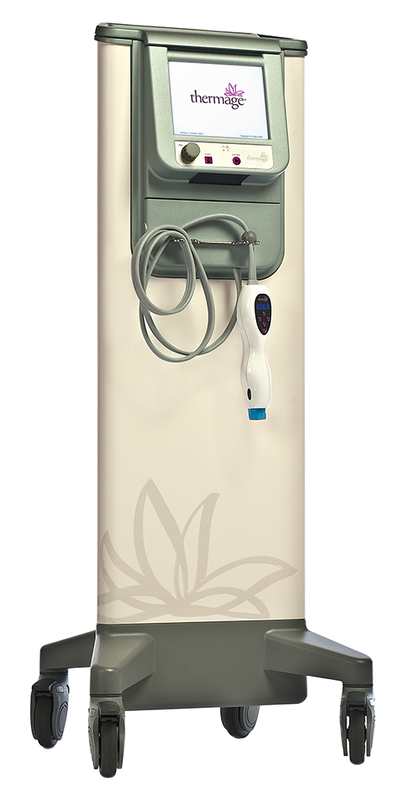 We now offer ThermiTight, the most advance radiofrequency technology in aesthetic dermatology. ThermiTight by ThermiRF uses thermistor-regulated radiofrequency energy to tighten skin and melt unwanted fat. In simple terms, heat is generated by radio waves and used to target and tighten specific areas of skin and tissue. A special camera is used during the procedure to help the doctor position the probe precisely and monitor the skin response. The procedure is performed under local anesthesia in the office. 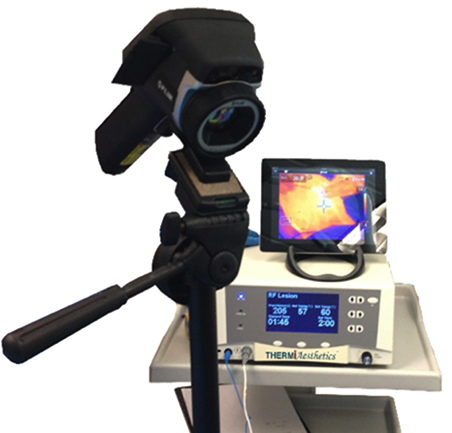 After the skin is anesthetized, a probe containing a heated tip is inserted under the skin in a very precise manner, while the temperature is monitored in real-time using an infrared camera. Your physician will monitor the skin temperature to ensure that it reaches the desired endpoint for maximal improvement and to ensure that your treatment is safe. The ideal ThermiTight patient has mild to moderate skin laxity or excess unwanted fat pockets and desires a tighter, more defined contour. ThermiTight is an excellent treatment for loose skin in the lower face, jowls, chin, neck, arms, and abdomen, however it can be used to treat many other regions. Typically several days of swelling may be experienced. You may go back to work within 1-2 days. While results are gradual, there may be an instant off-the-table improvement. Most improvement is seen at 3 months.